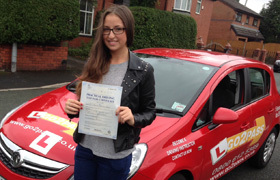 Wanting Driving lessons in Liverpool? well we should most certainly be on your list of driving schools in Liverpool to look at. We are a local family based driving school who are very knowledgeable, our driving instructors in Liverpool are a fully qualified, professional driving instructors, we only take on professional driving instructors, this is to insure you get the best service and in return we get happy learner drivers raving about our fantastic driving instructors and our reputation grows. win win for everyone. so if you are wanting a professional driving school in Liverpool look no further than Go 2 Pass Liverpool. Who do I choose for driving lessons around Liverpool? Finding a suitable driving instructor or driving school in Liverpool can be difficult, there a 100’s of driving schools and driving instructors in Liverpool to choose from. if you do a google search you will see this for your self. Almost all driving schools promise very high first time pass rates and very professional driving instructors, they can’t all be true because the average first time pass rate at practical driving test is something in the region of 35% so some must be telling fibs. These will be the companies or individual driving instructors who are charging ridiculously low driving lessons rates. Yet they claim to have very high pass rates, if this was true, why would they be charging low lesson rates and making an average wage, simply put, they wouldn’t if they were any good so be careful when choosing a driving school or a driving instructor in Liverpool who charge low driving lesson rates and claim to be the best, you know how the saying goes “you get what you pay for”. 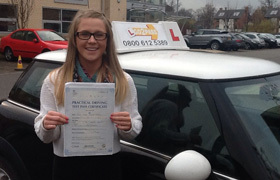 Why choose Go 2 Pass Liverpool for your driving tuition? We here at Go 2 Pass Liverpool driving school have many years in teaching learner drivers just like you to drive and have become experts at it. Our driving instructors are hand picked by the owner. Our driving instructors in Liverpool have to be professional at all times, undergo professional developmental training to keep up to date with current regulations and to improve their skills to help you learn to drive and ultimately putting you in a position to be able to pass your driving test first time with no problem at all. So if you are serious about learning to drive and want to pass your driving test first time and be with a driving school that cares about it’s customers then choose us, you will be better placed to get your full driving license with our driving lessons Liverpool . What will I be doing on my driving lessons? If you have never had a driving lesson before (with a driving instructor or privately) Our driving instructor in Liverpool will take you somewhere quiet where there will be very little to no traffic at first so that you are not daunted with the aspect of driving, they will explain the controls of the car once you are comfortable you will be doing some moving off and stopping the car, if you really good and grasp thinks quickly you may even move on to do left turns and such. If you have driven before we will accesses your driving ability and tell you honestly what aspects of your driving we need to work on and what you are doing well, and teach you according to this. If you are in a hurry to pass why not under take an intensive course, this will get you the driving license quicker than if you took weekly driving license. 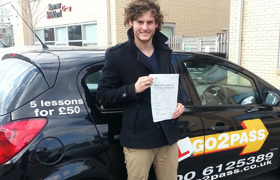 For those of you who have passed your driving test we offer the pass plus driving course and refresher driving lessons.